Have your bridesmaids look as stunning as you on your big day. This incredible bridesmaid dress is the best choice for your bridesmaids. Its breath-taking colour of mint, will make your bridesmaids the best dressed bridesmaids there ever could be. Its gradient sequin detailing and stunning chiffon skirt makes this affordable bridesmaid dress the ultimate dress for your chosen few. 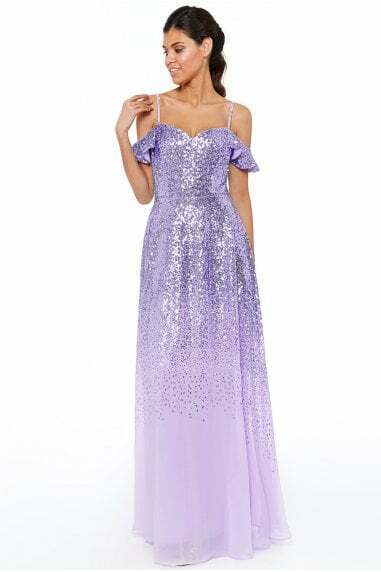 With its sleeveless design and v neck, this long sparkly gown is perfect for any season and can be accessorised to suit your theme for your big day. The gradient sequin detailing will enhance your every movement while the chiffon will delicately drape over your body. The most sensational bridesmaids dress you can ever find. The most enticing thing about this design, is the versatility of the dress, your bridesmaids can use this dress again for other special functions.